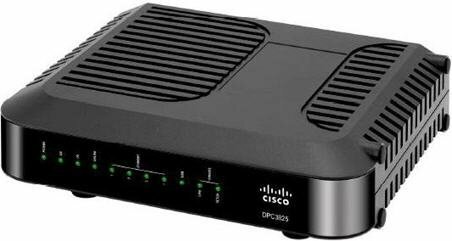 The Cisco DPC3825 compatible specifically with Cox has 8x4 bonded channels with 340Mbps downstream speeds and allows automatic software upgrades by your service provider. Combining the cable modem, router, and wireless access point in the single device, it's recommended to hook up another router for a wider range of Wi-Fi signal, as this modem tends to have poor connectivity. Compatiblemodems.com earns a commission for links to Amazon and Ebay. We determine which products to promote based on internet provider restrictions & reviews. This modem doesn't have built in wifi so you will need a wifi router to connect wirelessly to the internet. Share Your Experience & Help Others Save! Follow Us for More Savings!